Here’s another shot taken at the 2011 Concours d’Elegance of America held in Plymouth, Michigan. 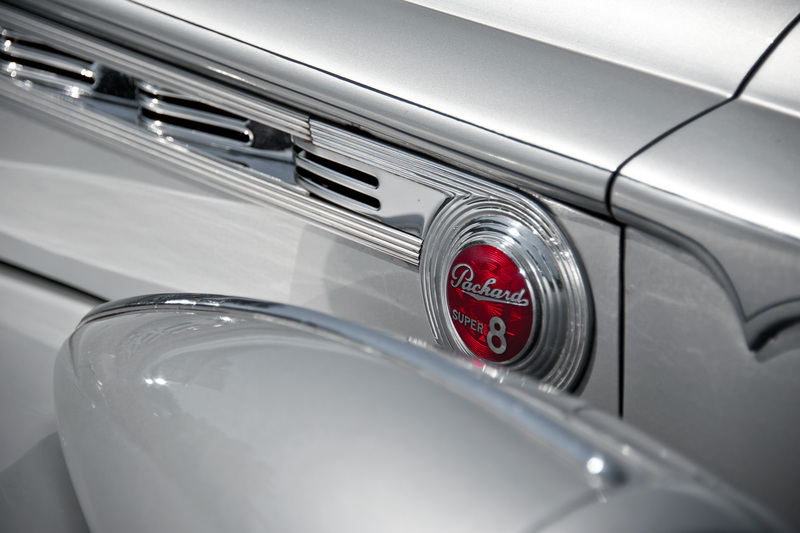 This one shows a detail of the engine cowling of a 1940 Packard 180 Convertible Victoria. The Packard Motor Car Company started life in 1899 as the Ohio Automobile Company. 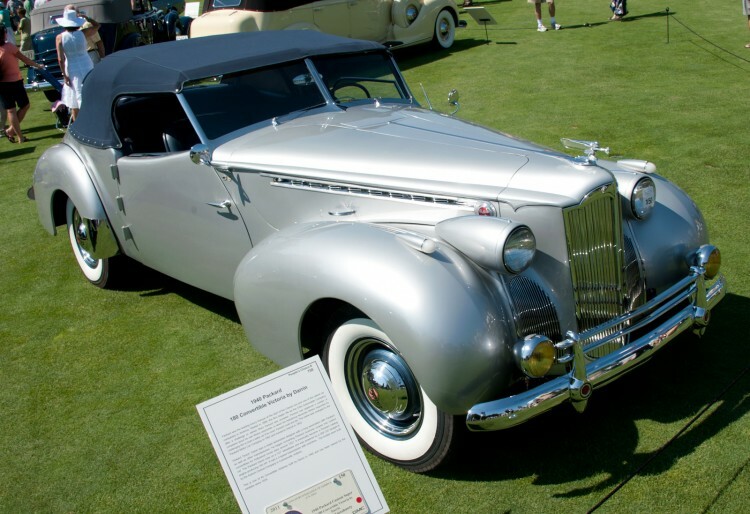 Packard started the company after accepting a challenge from Alexander Winton to build a better car than was being produced by the Winton Motor Carriage Company. The Winton company was one of the first companies to sell motor cars and Packard had complained to Winton about the quality of his car. Packard changed the name of his company to the Packard Motor Car Company in 1902 and moved to Detroit in 1903. Not much to say in the way of processing. The main changes were to reduce the vibrance a bit to eliminate some of the blue sky which was reflecting in the chrome and to make some minor tweaks in contrast. If it were not for the second shot, I would have though this was shot in a museum. I love that you got in close for this little detail. Love it! Excellent detail James and some cool background info too! Funny how such a small part of this car can be full of detail. Nice eye. You really cleaned the detail shot nicely. I can see the blue in the full car shot. Things look much better in the main image. Fantastic shot. The detail is spot on. I love those classic cars. Nice write up about the company history as well.